"Has the life of God's people reached the utmost limit of what God is willing to do for them? Surely Not!" With that bold statement , Andrew Murray challenges believers to practice the art of waiting only on God. In thirty-one brief chapters, arranged as readings for each day of the month, Murray leads us in the school of waiting -- of being silent before God in complete trust and dependence. The lessons learned and the answers received through this act of faith far exceed the time spent, and build in us a trust, confidence in God and patience. Invest thirty-one days with Murray in waiting upon God -- the results will be mre than you could ask for. Waiting On God by Andrew Murray was published by CLC Publications in April 2007 and is our 36746th best seller. 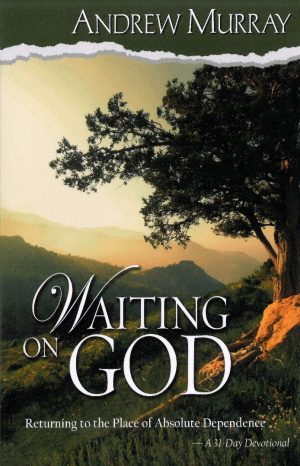 The ISBN for Waiting On God is 9780875088549.